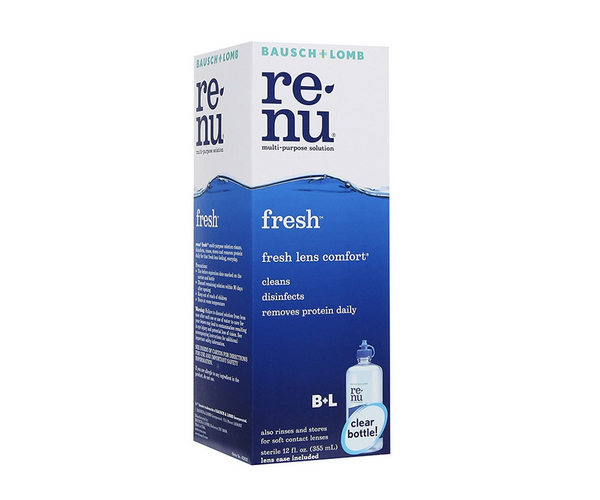 Bausch and Lomb renu fresh multi purpose lens solution 120ml for use in daily cleaning protein removal when used with renu 1 step daily protein remover liquid rinsing and storage of daily. It is useful to use with all soft hydrophilic contact lenses at a reasonable price of Rs. 175 This solutions is a value for money lens solution. It is good for all hydrogel lenses.